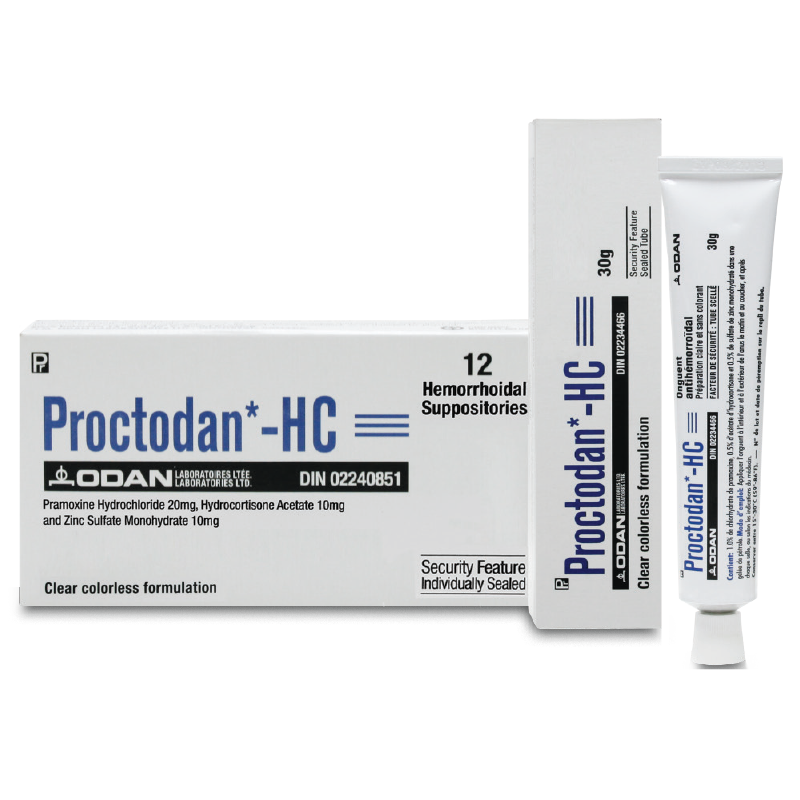 PROCTODAN®-HC - Odan Laboratories Ltd. 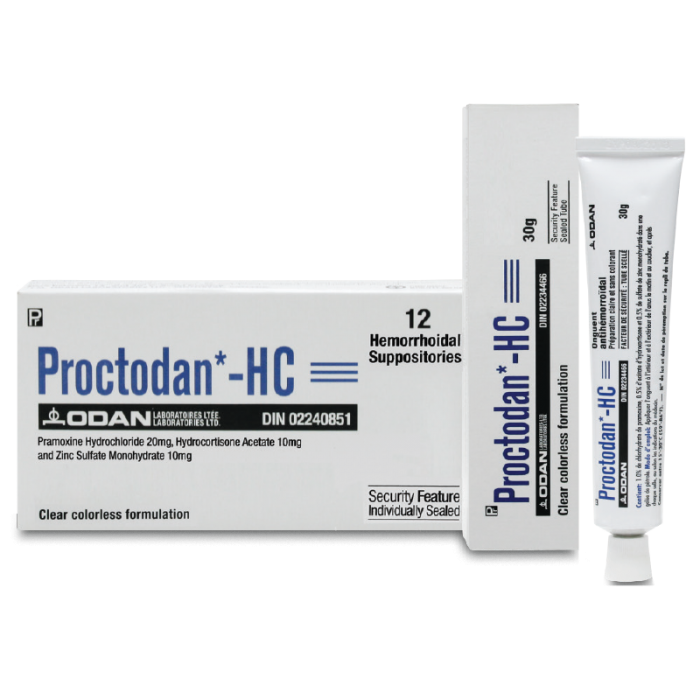 Contains: Pramoxine HCL 1.0%, Hydrocortisone Acetate 0.5% and Zinc Sulfate Monohydrate 0.5% in a petroleum base. Each individually wrapped suppository contains: Pramoxine HCL 20 mg, Hydrocortisone Acetate 10 mg and Zinc Sulfate Monohydrate 10 mg in a trygliceride base.